Many of us awoke Monday, Oct. 30 with trees on houses, cars and powerlines, our homes and businesses without power and our roads and driveways impassable. The overnight storm reminded some of a December 2010 windstorm in Chittenden County, when huge areas of forest were leveled. This year’s storm seems to have been less impactful overall than the 2010 storm, but in some parts of Chittenden County it was worse. I would be interested in hearing from you about how it was in your part of the world. What causes some trees to blow down while others remain standing? Factors include the trees’ species, age, size and quality; the soil’s depth and quality; the topography and aspect; and the intensity, direction and qualities of the wind. While some windstorms are powerful enough to knock over nearly any tree, they disproportionately affect unhealthy trees, those dealing with various stressors, trees with restricted or shallow root systems or those that happen to be especially exposed. Like the 2010 windstorm, the Oct. 30 event was devastating primarily because it toppled areas of unhealthy softwoods, mostly field-grown white pine. The scale of these disturbances can be generally attributed to the many agricultural fields that succeeded to forest in the 1930’s-1960’s. In my survey of the damage, most of it was caused either directly or indirectly by the effects of field-origin stands. The most obvious effect of windstorms is on our visual landscape. Following a windstorm, our orderly forests can be turned into a jumble of trunks and branches. Trails can be lost, vistas obscured. A woodlot that we may have watched grow for decades can be suddenly and irreversibly changed. From an ecological perspective, the effect of blowdown is different. It is a natural part of forest disturbance, and forests respond to them with abundant growth. What looks like a big pile of sticks at year one will be transformed by year five into a thicket of blackberries, raspberries and young trees. Openings in the forest’s canopy create an ideal foraging environment for insectivorous birds, and young plants and trees provide browse for deer, moose, bear, rabbit and many other species. Dead wood on the forest floor provides wildlife habitat, future soil and carbon storage. These events also allow young trees to grow, promoting structural diversity, age diversity and species diversity, which benefits the long-term health and resiliency of the forest. On the negative side, blowdowns can encourage invasive exotic plant species, such as buckthorn, honeysuckle and Japanese barberry, especially if they are already present. Anyone with a blowdown should check out VTinvasives.org for more information on these species. If your woodlot is larger than five acres, you may consider having a logger “salvage” your woods. This means harvesting fallen trees, usually in addition to some standing trees that are either damaged or at risk of falling in the near future. Salvaging is unnecessary from an ecological perspective, and actually eliminates some of the aforementioned benefits, but it clears trails, roads and sugaring lines and diminishes the negative aesthetic impacts of blowdowns. Depending on the quality and amount of the wood, salvaging can also help landowners capture some of the value in their blown-over trees. Salvaging is dangerous and laborious work, and loggers rarely pay landowners for salvaged timber. I encourage landowners to clear their trails and lawns and learn to embrace the positive ecological benefits of blowdowns. While it may be frustrating or counter-intuitive, these blowdowns are a positive for our forests in many ways. Following windstorms like this, many people become suddenly hyper-aware of the trees near homes, powerlines and property. The calls from landowners with problem trees have started to trickle into my office over the last few weeks. If you have a small property, or the trees of concern are near homes, structures, powerlines, etc., call an arborist. Arborists are tree-care professionals that specialize in working in sensitive and residential areas, and with problematic trees. If you have any other questions or reports of wind damage, please feel free to contact me by any of the means below. Good luck! 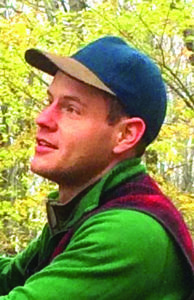 Ethan Tapper is the Chittenden County forester. He can be reached at (802)-585-9099, ethan.tapper@vermont.gov or at his office at 111 West Street, Essex Junction.